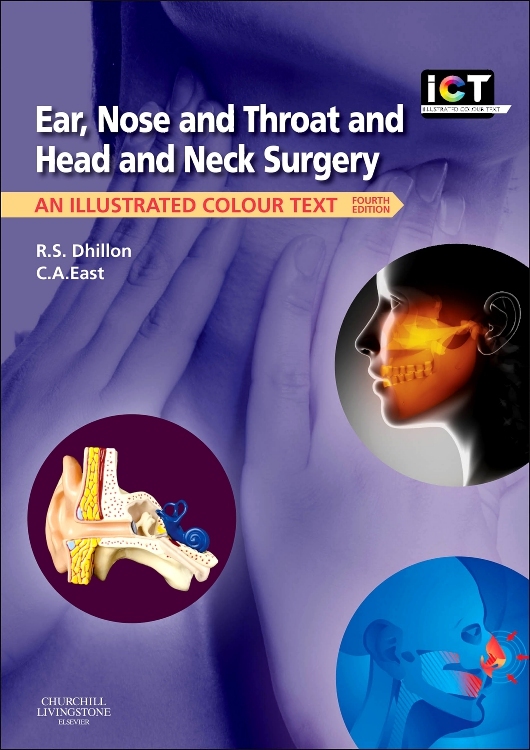 A radical rewrite of a famous and popular textbook on ENT, aimed at medical students and surgical trainees. Anatomy and physiology of the ear. Examination and assessment of the ear. The external ear. Tympanic membrane and middle ear. Complications of otitis media. Inner ear. Aids to hearing. Facial nerve. Anatomy and physiology of the nose and paranasal sinuses. Examination and assessment of the nose and paranasal sinuses. External nose. Nasal cavity and septum. Rhinosinusitis. Epistaxis. Tumours of the nose and paranasal sinuses. Anatomy and examination of the neck. Examination and assessment of the upper aerodigestive tract. Neck swellings. Thyroid. Anatomy and physiology of the mouth and salivary glands. Oral cavity. Salivary glands. Anatomy and physiology ofthe larynx, pharynx and oesophagus. Examination and assessment of the larynx and pharynx. Tonsils and adenoids. Infections of the pharynx and larynx. Paediatric airway disease. Non-neoplastic disease of the larynx and pharynx. Neoplastic disease of the larynx and pharynx. The oesophagus.